Peter Pan is the one character who easily has an entire empire of spin offs, prequels, sequels, books, merchandise and plenty of Broadway plays and musicals about him. With all of these things, you'd think people would get sick of the story of Peter Pan, however that is not the case with this. 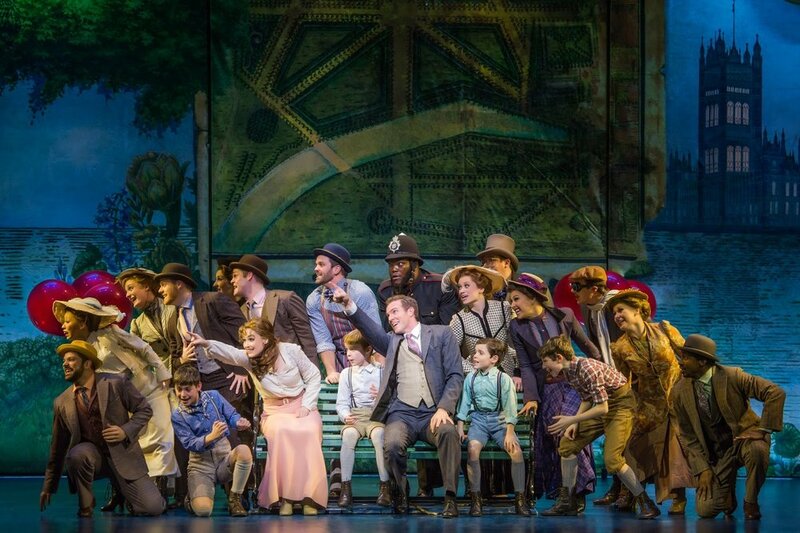 Fairy dust and magic has been discovered in the Orpheum Theater's newest touring production, Finding Neverland. Finding Neverland is a semi-original musical based off of the the 1998 play The Man Who Was Peter Pan by Allan Knee and then turned movie in the 2004 adaptation Finding Neverland with Johnny Depp and Kate Winslet, The original Broadway production starred Matthew Morrison (Glee) and Kelsey Grammer (Cheers, Frasier) and ran for about 17 months before going on tour in October 2016. The story itself is a beautiful story not only about Peter Pan but the man who created him, Playwright J.M. Barrie. J.M. is in search for inspiration for his newest play and he is under a tight deadline. While writing in the park one day, he meets four young boys and their widowed mother, Sylvia. Completely enchanted by the boys make-believe adventures, he is inspired to write a new play about a make believe place called Neverland where mermaids exist, people never grow up, and fairies help you fly. I had absolutely no expectations going into this musical. I'm always blown away by just about anything and everything that is brought to Hennepin Theater however when it came to the story I didn't know how it would hold up. I can confidently say that my expectations were not only blown away, but they were shoved in a cannon on Captain Hooks ship and blown miles away. It was an absolutely charming, surprisingly touching, nostalgic musical. This musical is victim to one of my least favorite things about touring productions, sadly, and that is the changing soundtrack. One of my favorite things about seeing a touring show is then going and listening to the soundtrack and reliving it while I write. However this musical has a few (minor) changes about the soundtrack from the original Broadway production to the touring cast. I was immediately drawn in to the musical with one of the opening songs "Welcome to London" and was disappointed that it was not in the original recording. However when you look at it, that is almost a compliment in saying that this touring production was better than the original! The cast is absolutely divine and stands out in their own way. In a production of this magnitude there are usually one or two actors that rise to the top and are the clear stars of the production, even if they aren't the leads. Not the case with this musical. Everyone from the oldest to the youngest are all special and stood out to me. Billy Harrigan Tighe plays the lead J.M. and is magnificent. He had the rare ability of being able to switch his personality on a dime. From playing make believe and being full of a child like energy at times and then turning into a completely charming gentleman for Sylvia. Not to mention his voice made everyone melt in their seat! John Davidson plays Charles Frohman who is the owner of a theater that J.M. writes for. His role was surprisingly humorous at times. He took it to another level when he turned into Captain James Hook. Hook was and funny through out his limited scenes. Lael Van Keuren plays Sylvia Llewelyn Davies and made me legitimately cry multiple times through out the production. She is new to the role but performs it as if she has been doing it for years.She was able to do what all actors strive to do and that was to take me on a journey. She made me completely forget I was in a theater on a cold day in Minneapolis but like I was sitting right there with her and going through these experiences. That is one of the highest compliments an actor can receive and she did it wonderfully. Her rendition of "All That Matters" made me want to stand mid show for a standing ovation. The power she had in her voice while also emoting to the song was incredible and it filled the space in a tender and beautiful way. Finding Neverland is a cleverly written as well. While it is more so about the creation of Peter Pan, there are plenty of little subtle Easter eggs through out the production that often made me smile from ear to ear. If you're a big Peter Pan fan you'll certainly see them. Everything from a thimble being mistaken for a kiss to one little boy running around in a top hat and an umbrella. It's unbelievably nostalgic and made me feel like a kid again, which is one of the biggest themes of the show. 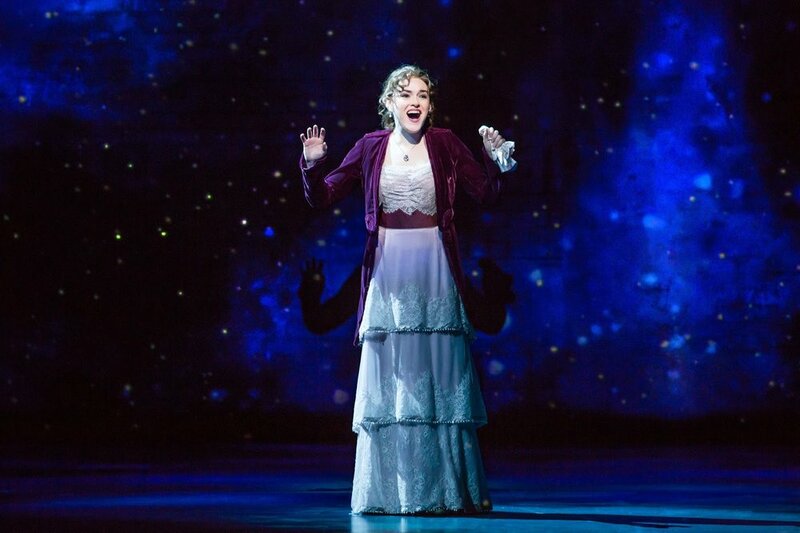 Finding Neverland is a show that is perfect for not only people of all ages but families who are veterans or new to theater. It's full of magic, thrilling adventure, catchy tunes and a beautiful lesson to never take life too seriously. Sometimes it is ok to let loose, let your imagination run wild and have fun especially in this crazy and dark world we live in now. The show is nothing short of magical. This production is only here for a limited run through Nov. 5 so be sure to get your tickets as soon as possible before they sell out!